Top designers from across our region share 10 simple tips for creating elegant, inviting rooms. 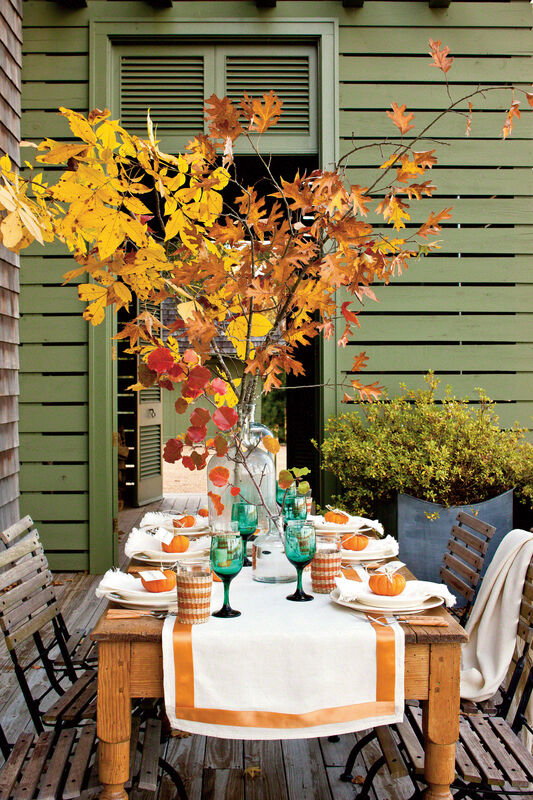 A beautiful table ready for anything says welcome. Phoebe Howard, a Jacksonville, Florida, designer, keeps table settings simple with white plates and crystal glasses. She also uses crystal saltcellars and partners them with pepper grinders rather than shakers. If you stand to inherit silver, make sure any new pieces match the old silver. (Sounds obvious, but it’s often ignored.) If you have to purchase your flatware, consider what pattern you want carefully before buying. Steer clear of posed-looking family portraits, though. “Instead, take candid, casual pictures, and collect them as a nice assortment on the wall,” she says. And whatever you do, get photos professionally framed. 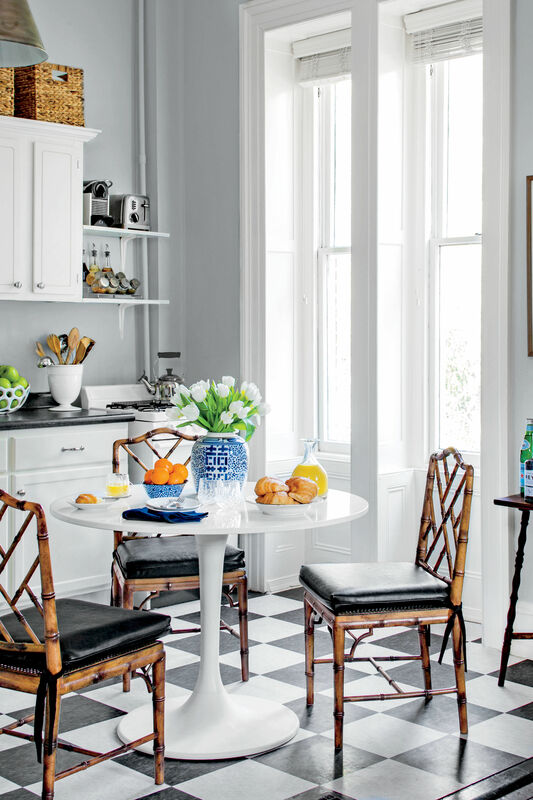 “Southern rooms are like Southern ladies,” says Little Rock designer Tobi Fairley. “Southern women aren’t afraid to have color in their wardrobes, and a Southern room shouldn’t be afraid to have color on the walls.” She suggests such saturated hues as Fresh Cut Grass and Lavender Lipstick from Benjamin Moore. Tulsa, Oklahoma, designer Charles Faudree prefers to let fabrics, trims, and accessories take center stage to more neutral paint colors. Tammy likes to let nature—especially that of the Carolina Lowcountry—inspire her palette. The main thing to remember? Let color reflect your personality. A white monogram on a white napkin will never go out of style, Phoebe says. A nice set of these also makes a beautiful wedding present. “Make sure that you find a quality monogrammer,” she says. Some monogrammers use premade templates, while others create their own distinctive styles, which make your linens more special. Like color, fabrics reflect who you are. The secret is to mix patterns, textures, and colors for a truly personal look. “The way you live should come before the decor,” says Palm Beach, Florida, designer Mimi McMakin. Houston designer Carol Glasser concurs: “A table close enough for putting a drink down, something to put your feet on, light flooding in, and armloads of flowers brought in from the garden—these are keys to comfort in a Southern room.” Furniture placement is important too. “Living rooms should be arranged for conversation, with several different seating areas,” says Phoebe. “Slipper chairs always work, and surprisingly, men like them too. They aren’t for football watching but for conversation and moving about the room easily.” Phoebe’s favorite slipper chair is from Lee Industries (#1560-01). For deeper seating, Cindy likes Lee’s #1077 chair with a dressmaker’s skirt and English arms, pictured. “If you’re not lucky enough to inherit antiques, don’t buy cheap ones,” adds Cindy. “Save until you can buy a good piece. You don’t have to have a room full of antiques—one nice piece in a room can elevate everything around it.” As for which to buy first, Cindy suggests a mahogany Sheraton-style sideboard or a walnut English chest of drawers. “For years, I have collected antique white urns, white faience jars, and blue-and-white containers to fill with flowers,” Carol says. “I also fill lovely baskets with oranges or lemons. I adore the smell of flowers and fruits.” Charles agrees, adding that nothing complements a garden bouquet like fried chicken and loved ones.